1. I understand that there are no refunds for any amount of the paid fee, and that I am required to commit fully to the program so that I become better informed and financially empowered. 2. I understand that, if at some point, I decide to leave the program or cannot complete it, I am still liable for paying the full tuition amount or any remaining instalments of the payment plan. 3. I understand that all the information shared in the program is to be kept confidential and used for personal purpose only. 4. I understand that I am required to be respectful in my communication in the group and that failing this requirement can result in being asked to leave the program. 5. I understand that Millen Livis and Livis Group, LLC dba Dare to Change Life coaching, is not a licensed financial professional services, does not promise nor guarantee any profits and cannot give specific financial advice. 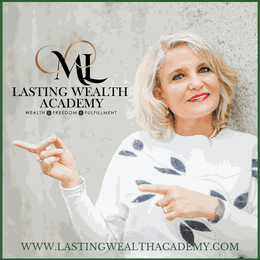 I further understand that this training is meant to educate me about different investment tools and strategies that I can choose to use at my own discretion; this program doesn’t guarantee any specific results - I am fully responsible for the results I achieve in the program. If I want a specific investment advice, I will seek a licensed financial professional service.